I love spending extra time wrapping gifts as I think it shows an extra level of thoughtfulness and care. I even have a section of my basement that’s a “wrapping paper table” and has tons of rolls and ribbons nearby. There are so many cute choices for wrapping paper, but some are too cute to be torn into and discarded immediately! 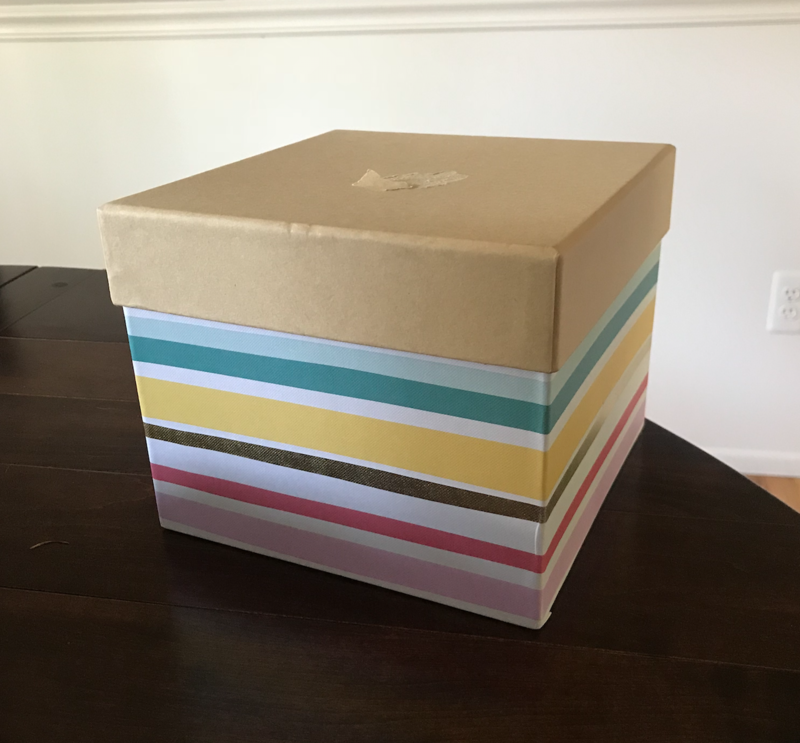 I think back to my wedding – a guest gave us a gift in a nicer box that she had wrapped in gorgeous paper. I still have the box to this day and use it for extra storage and display. It was very thoughtful and I enjoy the look and functionality of it. 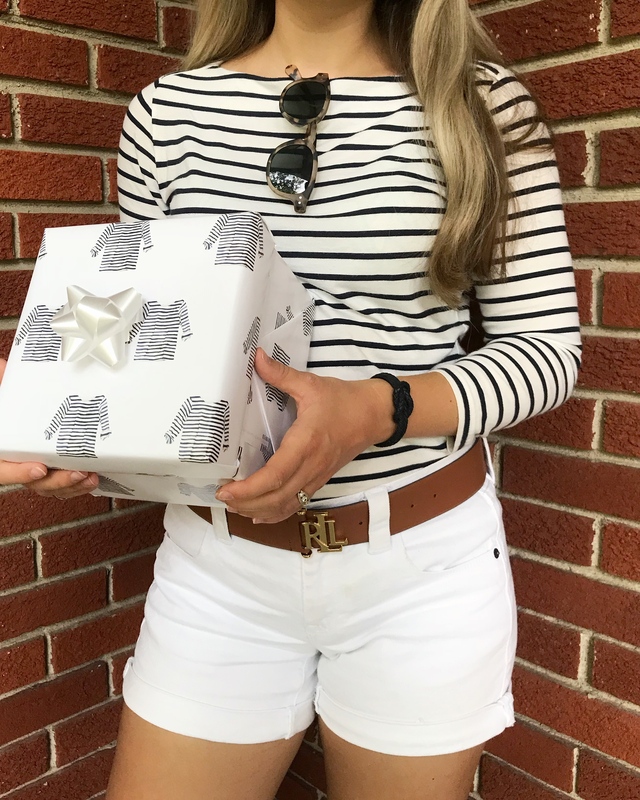 This wrapping paper I used above is just one of 13 eye-catching wrapping paper options that anyone, especially those who like East Coast style, would enjoy. I’m talking lobsters, whales, basket totes, hydrangeas, etc. Sara Fitz’s watercolor looks just as good on wrapping paper as it does her stationary options! The problem I ran into was I didn’t want to wrap someone’s gift in it for it to get thrown away… It’s too cute for that! So I took a nicer box I got for a few dollars at TJ Maxx. 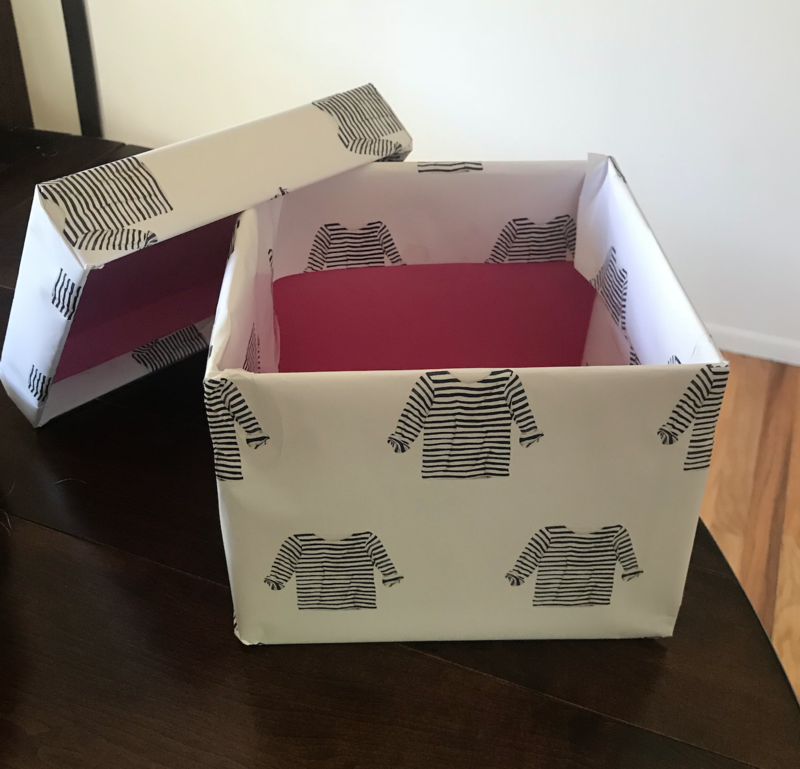 There are several stores that have these types of hard gift boxes and you can find them on sale. 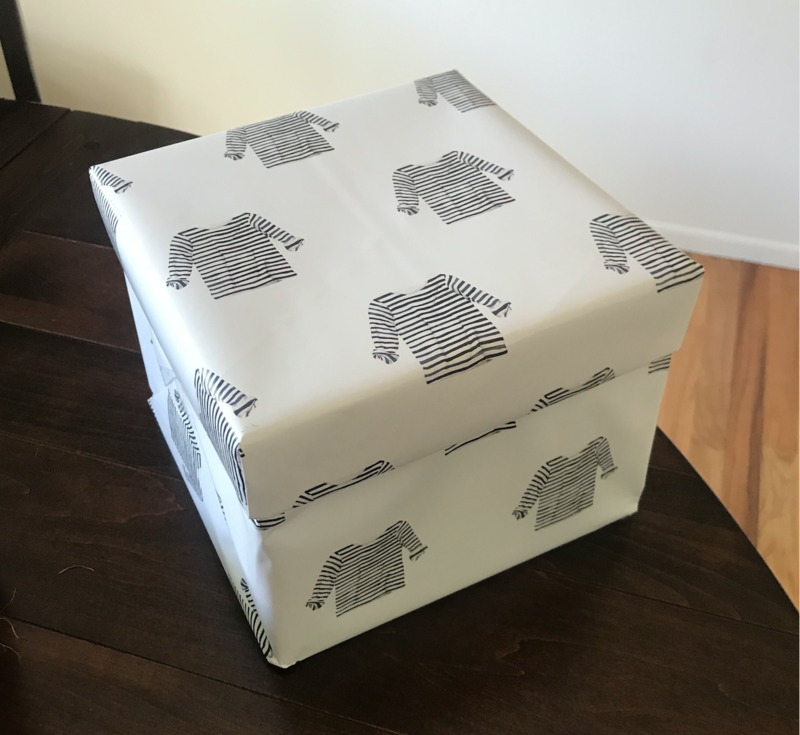 I thought back to the wedding gift I got in the wrapped box and decided to do the same thing. It was quite simple as I just wrapped the bottom and top separately and took extra care to make sure the pattern lined up right. For now, I’m keeping this box for myself to keep extra accessories in and display in my room. I may eventually wrap one more box in this paper as a gift box for a friend that I know would enjoy the print. They may keep the box themselves, or use it for a gift to give to someone else who may enjoy it. Regardless, I’m getting more out of the beautiful paper than before! 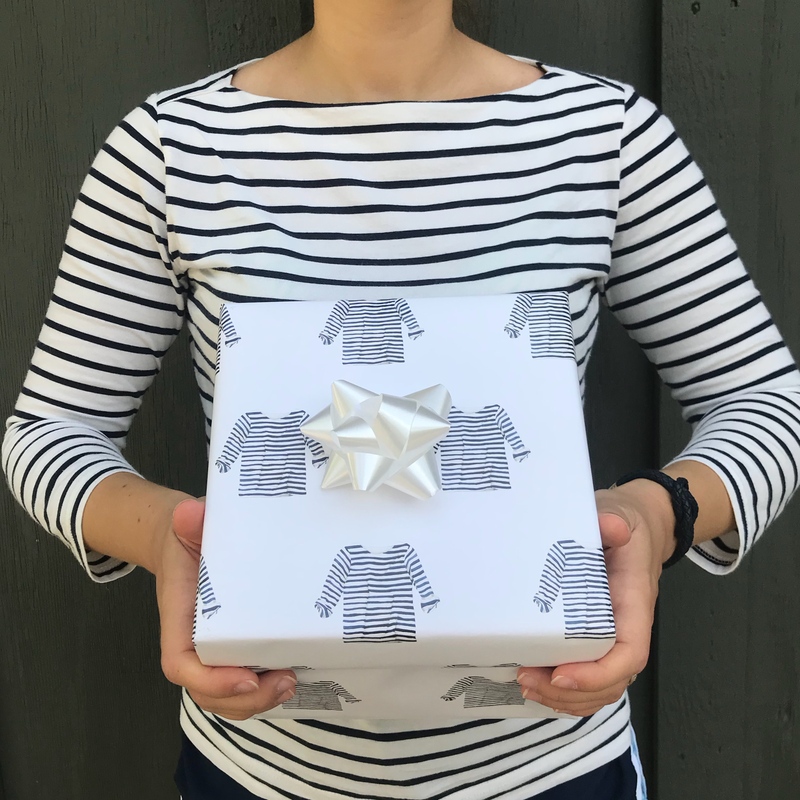 Please check out Sara Fitz Studio for all the beautiful gift wrap options. She is also a fun account to follow on Instagram!